I have always and will always be a chocolate girl. Vanilla I can take or leave, strawberry is a hit or a miss, lemon is a no go when you're citrus intolerant and every other flavour doesn't really fuss me... but chocolate? You can rarely go wrong with chocolate. This single serve protein pancake recipe came about thanks to that love of chocolate. You see, I decided I reaaally wanted pancakes one morning, however, Jesse was still sleeping away and I didn't know if he'd want any too. Since I was only cooking for myself and didn't have to worry about my weird husband who thinks chocolate for breakfast shouldn't be a thing (BLASPHEMY! ), I decided that I wanted to create the chocolatiest of chocolate pancakes - and that's exactly what I created. 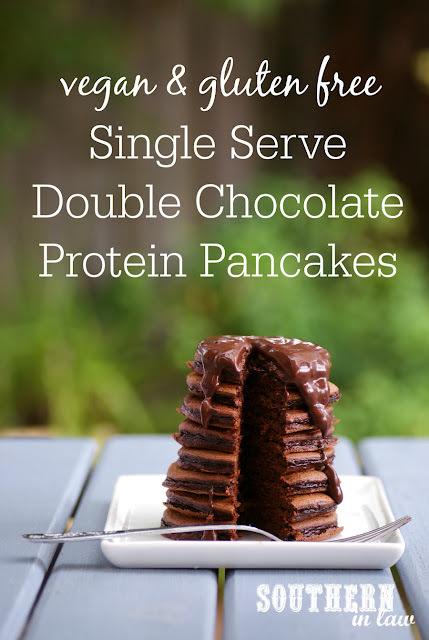 These pancakes are so easy to make and perfect for any fellow chocolate lover. 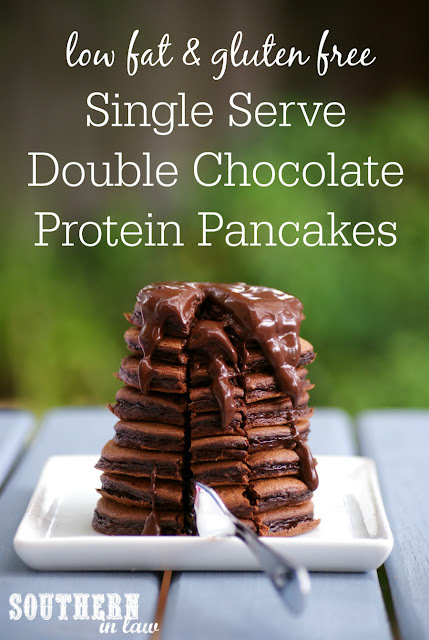 If you want to dial down the chocolate level, just leave out the chocolate sauce and add peanut butter or your favourite pancake toppings instead. They're perfect eaten by themselves or loaded up with fresh fruit (especially strawberries!) - but I'll let you decide how to enjoy them! Optional but recommended for chocoholics! In a bowl, mix all of your pancake ingredients, adding enough milk to make a reasonably thick pancake batter and sweetening to taste. Cook your pancakes in a lightly greased non-stick frying pan over a medium-low heat, flipping as soon as the underside of your pancakes is cooked and cooking just until your pancake is cooked through. Be careful not to overcook your pancakes so they don't dry out! Note: The batter will NOT bubble so keep an eye on it and flip it as soon as the underside is cooked! Whilst your pancakes are cooking, make your chocolate sauce (if using!) adding enough water to make a thick sauce and sweetening to taste. 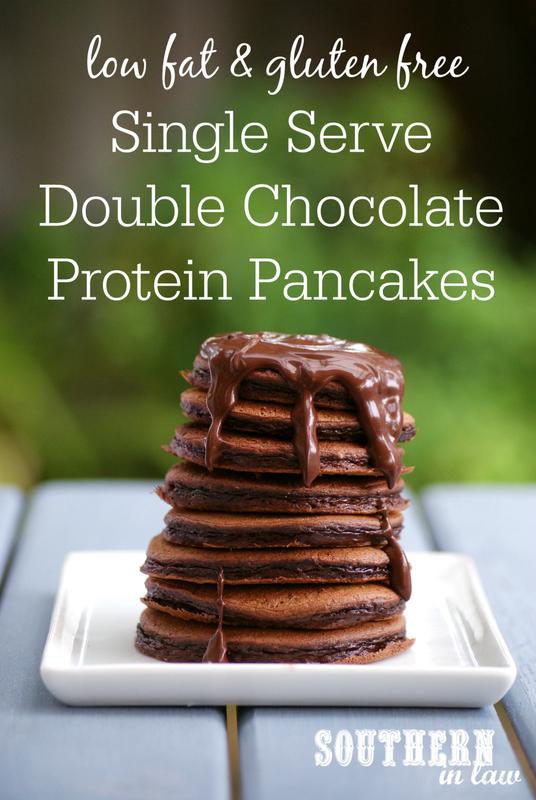 Serve your pancakes in a stack, topping with your chocolate sauce and any other desired toppings. And are you a sweet or savoury breakfast lover?